For this week on Frontend Friday, we’ll be covering how to set up lightning ⚡️ fast search for your Hugo site using Algolia, the SaaS (Search as a Service 😉 ) provider. We published a Jekyll-focused version of this guide last week. Algolia’s self-proclaimed claim-to-fame is that they are“the most reliable platform for building search into your business,” and honestly, it’s hard to disagree. Forestry’s search is powered by Algolia (just try searching for Algolia in the search above!). We’re going to generate a JSON search index for our static site using Hugo’s custom output formats. Then we’ll do the necessary configurations on Algolia and send the new index to Algolia using the npm package atomic-algolia. Lastly, we’ll simplify updating your search index using Serverless. 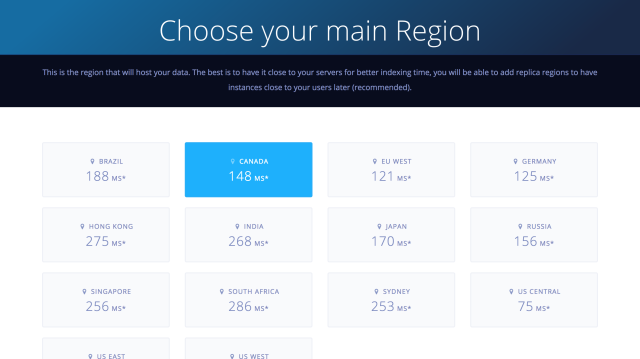 So the question is, what makes Algolia so great? The goal of the JAMStack is to eliminate server dependencies. Why add one just for search? Algolia offers a very generous free plan and performs up to 200x faster than open-source solutions like ElasticSearch. In order to create, update, and maintain an Algolia search index, you’ll need to generate a valid JSON array of all of the content in your Hugo site. We’ll do that in the next step! 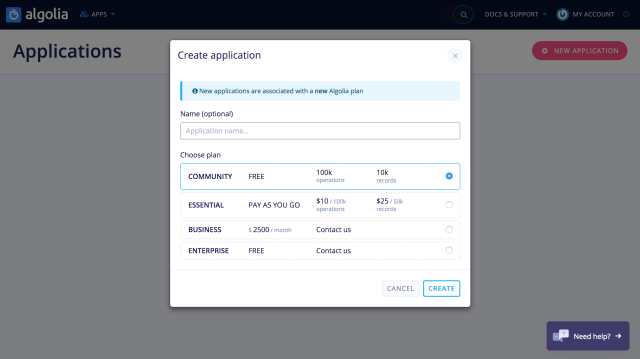 To get started with Algolia, the very first thing you’ll need to do is sign up. Once that is out of the way, your next step is to generate your JSON search index. With Hugo, we’ll do this using the custom output formats feature, which allows us to output an existing document in a different format (in this case, a valid Algolia JSON index). To get started, open up config.toml. Here, we’ll add the Hugo configuration for your custom output formats. Don’t have a Hugo site yet? Check out our Up & Running With Hugo series to get started with the static site generator Hugo in less than 30 minutes! mediaType tells the output format what kind of file to output. notAlternative tells the output format not to be included when looping over the .AlternativeOutputFormats page variable. vars sets the page variables in which you want included in your index. params sets the custom page params in which you want included in your index. The next step is to provide Hugo with the JSON template for your custom output format. To do this, we’ll create a new layout to do this. In the example above, we set baseName to algolia, which tells Hugo to look for list templates with “algolia” in the filename. For example, list.algolia.json, taxonomy.algolia.json. Set the objectID of the Algolia indexes document using the .UniqueID page variable. Loop through the document’s built-in variables and add specific variables to the document. Loop through the document’s custom Front Matter params and add specific params to the document. The above layout will only add pages that do not have private = true or draft = true in their front matter. This makes it easy to exclude results that shouldn’t be index, and prevents drafted content from being included. Now that we’ve created our custom output format, the layout for it, and configured the variables and page-level params we want included in the index, we now have to set up the site to actually create the JSON index! Specifying the outputs on per-page basis, outputting the index for a specific page. 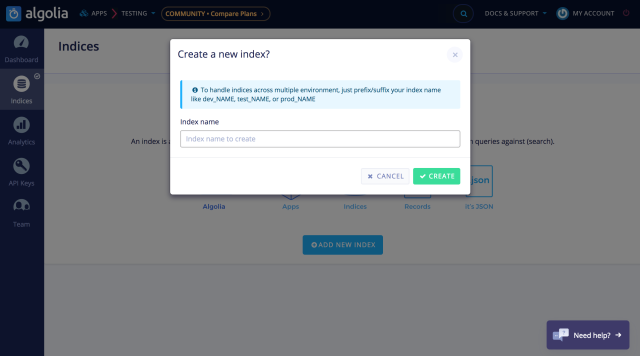 In your built site, you’ll now find a file called algolia.json in the root, which we can use to update your index in Algolia. 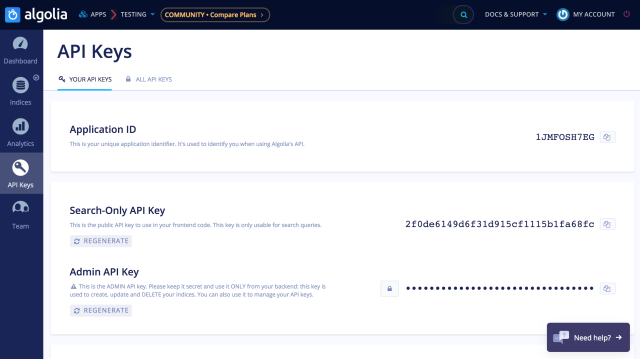 Head over to your Algolia app dashboard, and click New Application. Set the application name to something memorable (i.e, your company name), and choose Community as your plan. You’ll be redirected to the app’s dashboard. Select the Indices tab on the left, and then click Add New Index. Give it a unique name, (.ie, your site’s domain), as this is what we’ll use when updating the index. Finally, select the API Keys tab on the left, and copy the Application ID and Admin API Key, as we’ll need these to update the index. The next step is sending your search index to Algolia. For this article, we’ll be using a great NPM package to do this: atomic-algolia. atomic-algolia is an NPM package that does atomic updates to an Algolia index. This means that it only updates changed records, adds new records, or deletes expired records, and does it all at once, so that your index is never out-of-sync with your website’s content. This is important, because Algolia’s plans are based on operations on your index, and searches on the index, and this plugin ensures you use the smallest amount of operations possible! Our user @budparr ran a quick test to find out just how many operations can be saved using atomic-algolia. The results are impressive, you can see that hugo-algolia generated 4,613 operations vs. atomic-algolia’s 911 operations. To get started, make sure you have Node installed. If you don’t, you can do so by downloading an installer for your operating system. This will install the atomic-algolia package to a local node_modules folder and make it available for use in your Hugo project. Passing in the environment variables to the NPM script each time you call it isn’t ideal. That’s why atomic-algolia supports a .env file. Having to run the NPM script manually each time your site changes isn’t ideal, especially when using services like the Forestry.io CMS. That’s why we’ve created an open-source template for creating a Serverless Webtask Function that can automatically update your Algolia index each time your site is updated using web hooks. With Serverless, you can set up functions that run in the cloud and don’t require a full-blown backend server running PHP, Node, etc. These functions are perfect for performing tasks like updating your Algolia index. Serverless infrastructure is a great combination with static sites. For more background, check out this article by Auth0. Don’t have or want to use Git? Feel free to download the template as a zip instead. Next, if you don’t already have a Webtasks profile set up, you’ll need to do so. This can be done directly from the command line. First, copy config/secrets.yml.stub to config/secrets.yml and then open it up in your favorite text editor. Update name to the name of your index that you set up earlier, and url to yourdomain.com/algola.json, replacing yourdomain.comwith your site’s domain. In the terminal, you’ll receive an output for the success of your deployment, including the public URL for your new function. Copy that to the clipboard, as this is the URL we’ll trigger with a web hook when changes are made to the site. Head over to the Settings page of your site in Forestry, and scroll down to the Webhook URL setting. Enter the URL you received when deploying your function, and then click Save Settings. This set up only works when Forestry is set up to handle the build and deployment of your site. If you’re using a third party CI service to build your site (like GitLab CI or Netlify), you will need to use their webhook features to trigger your function. Now that you’ve successfully set up search indexing for your static site, it’s time to add the actual search interface to your website! Algolia has a fantastic library called InstantSearch.js for implementing search on the web, and provides a full tutorial for implementing search from scratch. Last week: We wrote a Jekyll-focused version of this article: Jekyll Search with Algolia and Webtasks .